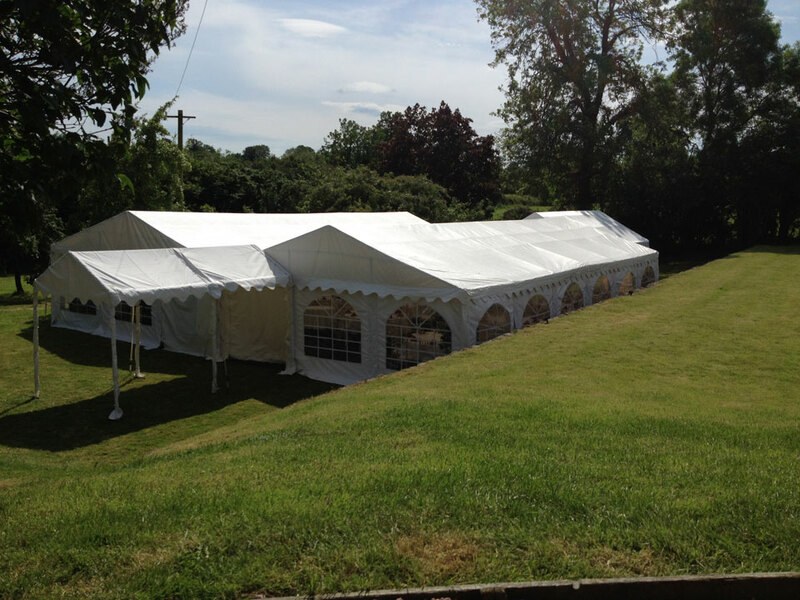 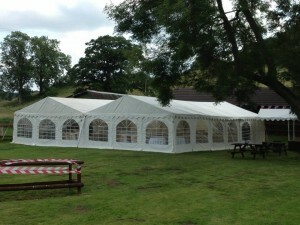 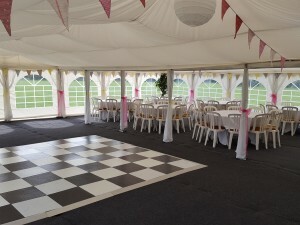 A lovely smart marquee for Claire and Ben’s Wedding day. 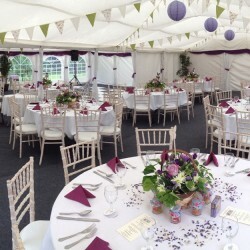 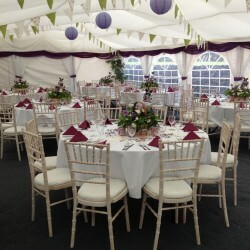 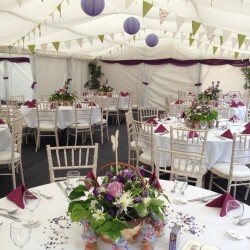 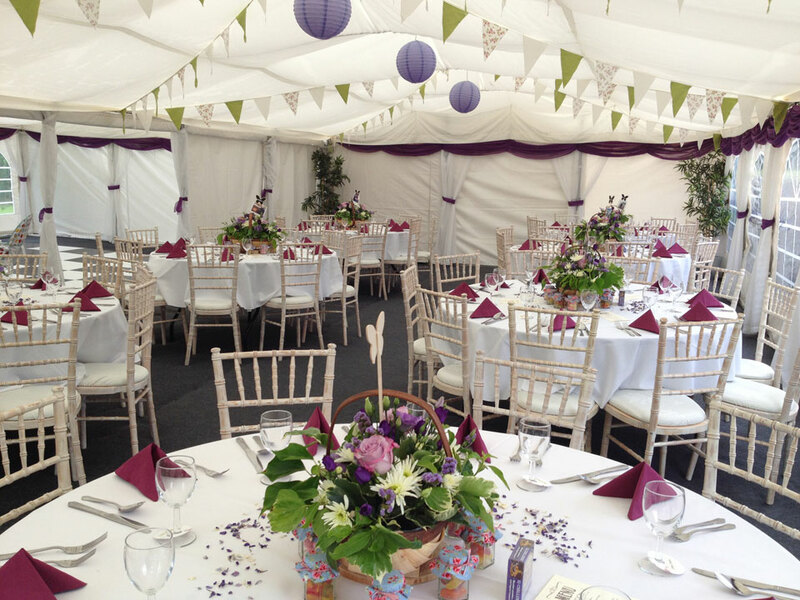 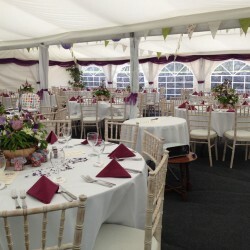 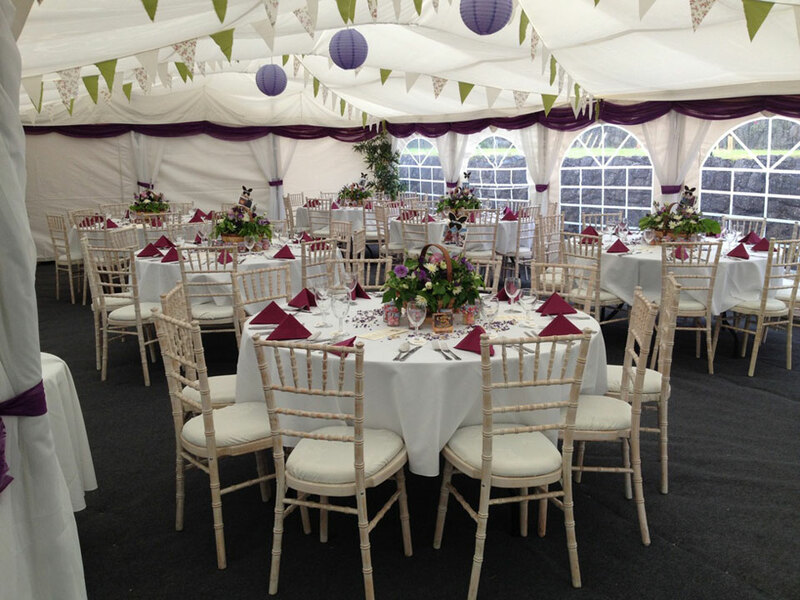 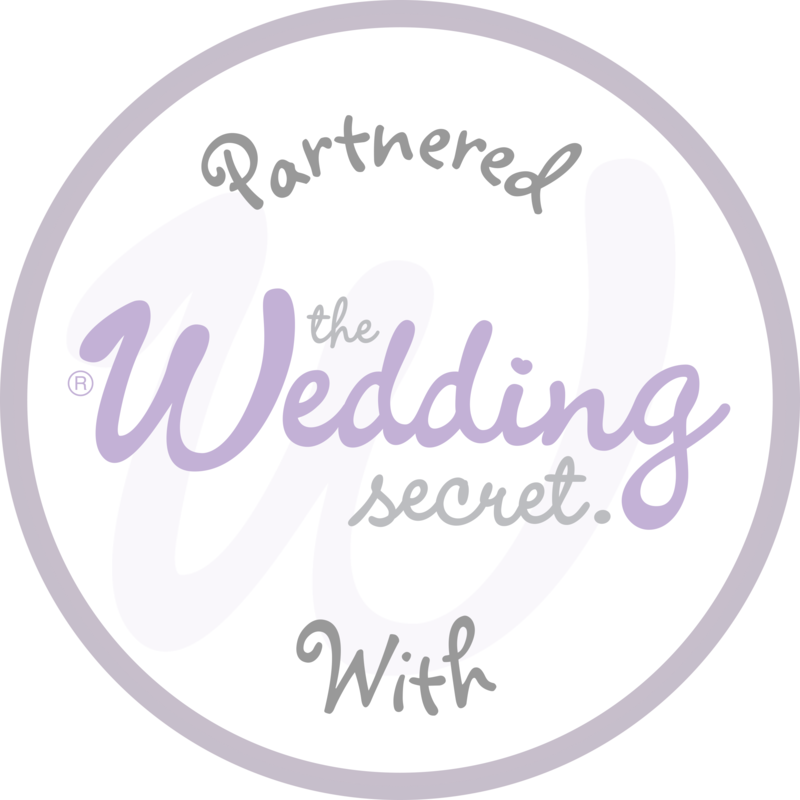 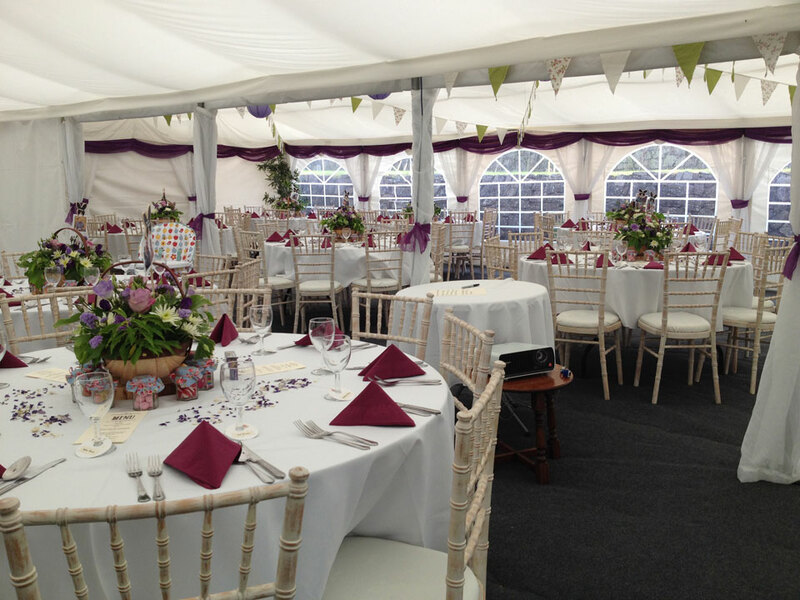 These guys decided on purple swags with mixed green bunting and the lovely Limewash Chiavari chairs. 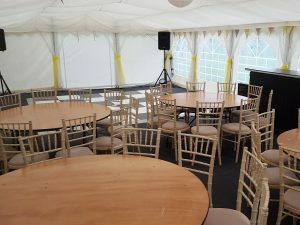 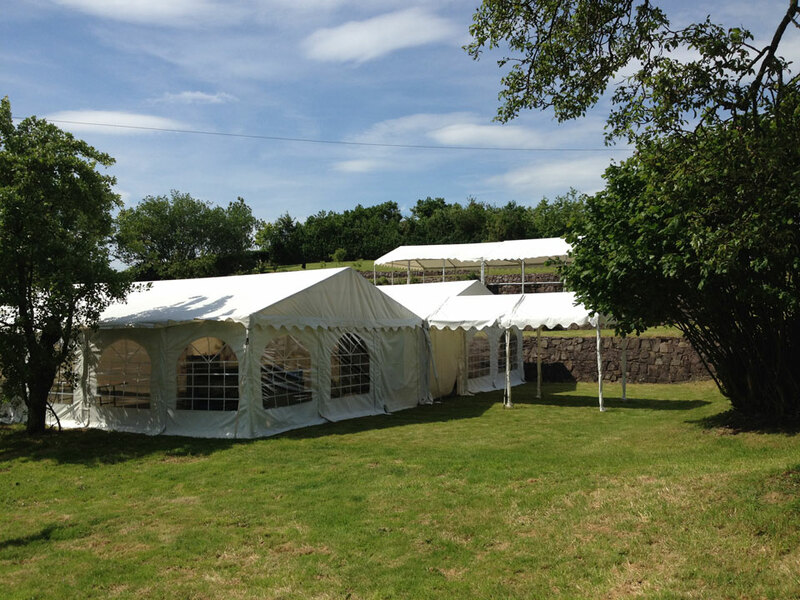 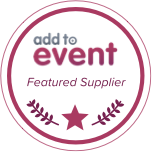 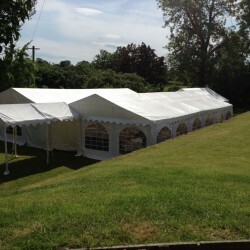 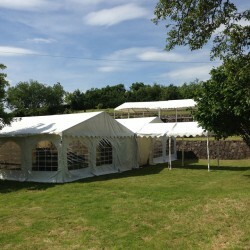 Completed with a dance floor and bar this marquee was for 90 guests.